The budget office is for companies looking to open their first office or for companies that are budget oriented. All of the items seen are in stock and can arrive within one month of your order. We also offer cubicle financing on all orders. 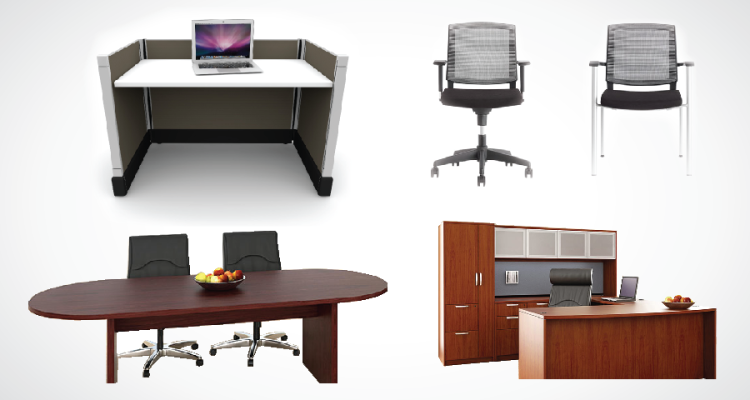 We can finance up to $150,000 in office furniture and cubicle purchases at one time and accept credit cards. This office cubicle design includes our budget call center cubicles, Friant Gitana Conference Table, Friant Gitana Laminate Desk and the Friant Amenity and Axiom Side Chair. If you would like a price on any of these cubicle designs, cubicles, desks or seating please chat online today or fill out the contact form below. We offer free design on all cubicle purchases and we would love to work with you to create an office that fits your style and budget. No Comments on "The Budget Office"